Salam, thought this maybe of interest to those who visit this blog. I came across this whilst looking up some information for the editing of the work mentioned in the previous post. The seal of the Huffadh Jalal al-Din al-Suyuti authored a treatise called: ‘al-Bahjah al-Saniyyah fi al-Asma al-Nabawiyyah’ in which he compiled around 500 names. 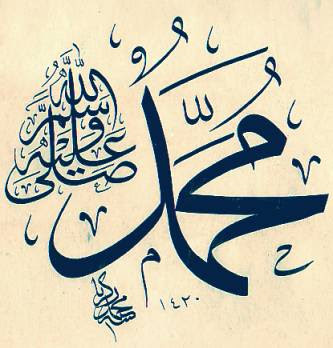 It is mentioned in ‘al-Mawahib’ from the book ‘Ahkam al-Quran’ of Abu Bakr Ibn al-Arabi that: Allah the Exalted has 1000 names, and the Prophet Allah bless Him and give Him peace has 1000 names. Al-Qastallani said:…That which I have seen in the words of our Sheikh – meaning al-Hafidh al-Sakhawi- in ‘al-Qawl al-Badi’, al-Qadi Iyad in ‘al-Shifa’, Ibn al-Arabi in ‘al-Qabas’ and ‘al-Ahkam’, Ibn Sayyid al-Nas and others exceeds 400 (names)…from them Imam al-Jazuli mentioned in his ‘Dalail al-Khayrat’ 201 (names). Muntaha al-Sul (1/166-172).